Are Short Sales Bad for the Economy? 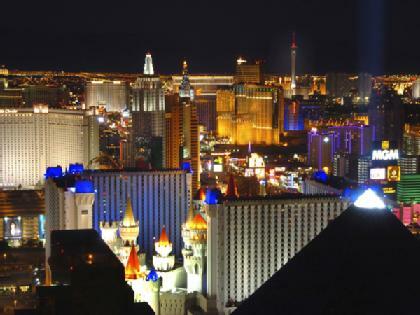 October 8, 2010: Are short sales bad for the speedy recovery of the Las Vegas housing market? That’s the concern of Las Vegas housing market analyst Dennis Smith, president of Home Builders Research. Smith pointed out that of the 22,588 listings on the Multiple Listing Service in August, 8,859 were under contract and 80 percent of those were contingent on short-sale approval. Thirty-two percent of the single-family home closings on the list were short sales, Smith said. “What I have said all along is short sales are like a weight hanging over our head, a cloud that is covering the sky, and we can’t get rid of it,” Smith said. In essence, short sales are holding back the housing recovery, Smith said in the Las Vegas Sun. Banks seasaw back and forth between their preference for foreclosures v. short sales. In many cases, a foreclosure is more advantageous to the bank than a short sale. The advantage to the lender of a short sale is that title and posession are transferred to the lender peacefully. The house will not be vandalized and there will be no squatters for the lender to evict. Further, the lender doesn’t have to try to re-sell the house in an REO sale that usually takes years. The homeowner also benefits in that usually the lender will waive any deficiency judgment in a short sale, but not so in foreclosure. ← Foreclosure Moratorium in Nevada? NOPE!